FGBC Coordinator Tom Avey reports, “The Central Focus Retreat ended today with a time of prayer for one another and worship. 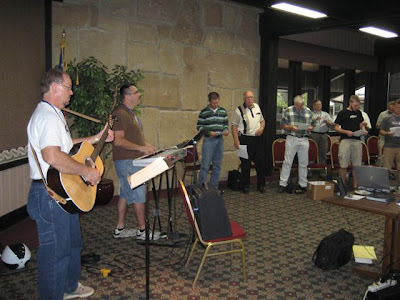 Phil Stohl and Keff Martin from the Powell GBC (pictured) led in worship. “Thanks for praying for the focus retreat. We met our goals of maximum encouragement and some on-mission opportunities.